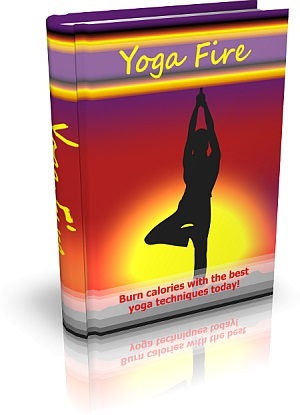 Burn calories with the best yoga techniques today! We need to give more importance to our health and the treatment of diseases. A big number of medicines treat only the symptoms of the disease, and not the base cause. As a matter of fact, the cause of a lot of chronic ailments are still being researched. It’s here that Yoga therapy comes to our aid. Yoga implies “union” in Sanskrit, the language of ancient India where yoga started. We may consider it of the union taking place between the body, mind and spirit. Yoga is the exercise of physical postures or poses. Many individuals believe that yoga is simply stretching. However while stretching is surely involved, yoga is truly about producing equilibrium in the body by formulating both strength and flexibleness. Yoga has a lot of advantages, it betters the flexibility of the body, one’s strength grows and it is a great way of dealing with tension. Stretching out your body in new ways will assist it to become more flexible, bestowing greater range of motility to muscles and joints. Yoga poses call for you to support the weight of your own body in novel ways bettering both your physical strength and muscle tone. Physical activity is great for relieving tension, and this is especially true of yoga. Because of the concentration demanded, your daily hassles, both large and small, appear to melt away during the time you’re doing yoga. Breathing is the basis of life, without it, death is inevitable. As it is one of the most important parts of life’s results of being alive, there is a need to learn proper breathing techniques. Yoga promotes this proper breathing as vital to bring oxygen to the blood and to the brain as do science. These breathing techniques bring about the highest form of purification and self discipline covering both the mind and body. Each yoga pose represents a different aspect to be addressed in the healing and enhancement of the general health of the individual. By strengthening each body part including abdominal muscles and the area around and near the spinal cord better health is assured. Each yoga pose teaches the body to bear its own weight in that area rather than rely on other muscles to share or take on the weight. It also helps to enhance the inner self power and self assurance. There is a total-body routine that’s a mind and body booster and will help you burn calories. The exercises include challenging core and upper- and lower-body work added for a calorie burning twist. Do the series 4 or 5 times but no more than an hour. The total of calories you burn in a common yoga session may deviate widely, depending on what form of yoga you decide to practice. Studies demonstrate that individuals who find an exercise they love will stick with it and make it a part of their routines more readily than individuals who feel coerced into exercise they don’t love. If yoga is your preferred form of exercise, discover ways to step-up your calories burned and then make it your principal cardio routine. You’ll reap the additional benefits of increased muscle tone, core stability and lessened stress as well as a vigorous cardio workout.